Pazzi Pasta is excited to bring you a cooking class that is educational, healthy and informative. You'll get hands on in creating delicious raviolis, spaghetti and a handcrushed pesto sauce. Our cooking classes are perfect for singles, couples, families or friends looking for a memorable experience. 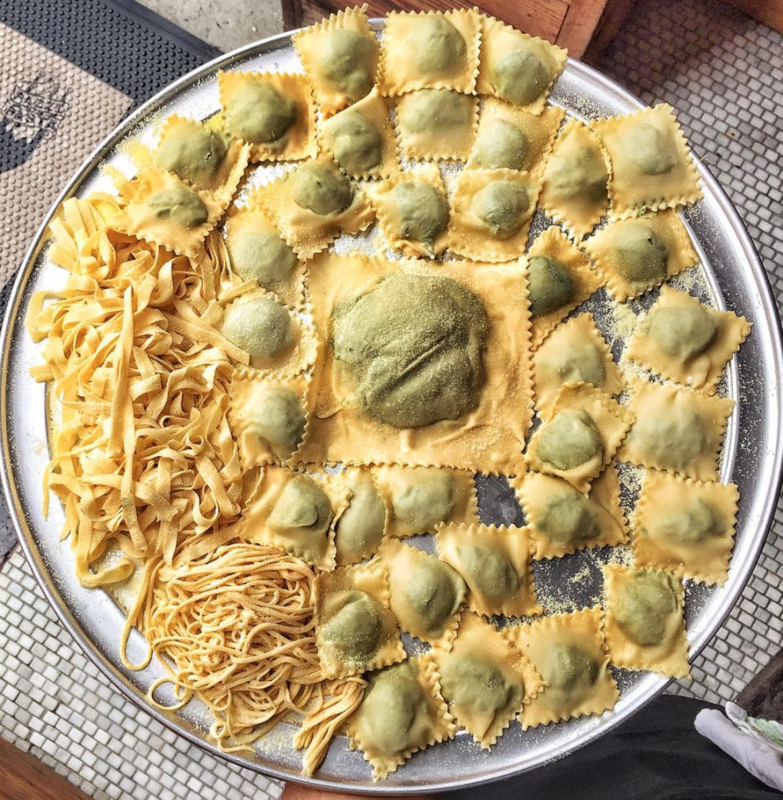 Each class includes: Hands on ravioli, spaghetti & mortar + pestal pesto, coffee, a handcooked meal using your creations, wine, and take home raviolis/sauce. Each ticket includes alcholic or non-alcoholic beverages.